Smart & Effective Solution to Customize Form & GeneContact Bank is a solution to Generate Leads and Organise Information across the entire website. It offers you an easy package to use all WordPress form elements. Work Smarter, Easily Create & Customize the Forms!rate Leads. Why You Need a Form ? Forms are the Most Essential Element on your website for achieving your Business Goals. It keeps things Simple & Organized. Most importantly, it makes you available 24/7. You can’t be available 24×7. Provide your visitors a way to contact you & make things easy for them. Contact Bank provide a safe and easy way for visitors to send messages directly from your website. With a form, you can easily get details about what product or service they’re inquiring about. This will help you keep all your inquiries in one place & quickly spot frequently asked questions. After receiving a message directly from your website, you can send an email notification to the right person to help them. As a result, authenticity increases among visitors and helps in getting leads. A few simple clicks in the series of steps will take a site owner towards a stunning Form in just seconds. Contact Bank is an ultimate WordPress Plugin designed to create simple but powerful forms easily and hassle-free. Its Powerful Control Panel and Short Code Manager make getting started super easy. Create mobile-friendly forms in seconds by importing built-in form templates. See all your Leads in one place to Organize your Workflow. Answer the lead immediately to keep you notified about the submitted forms. 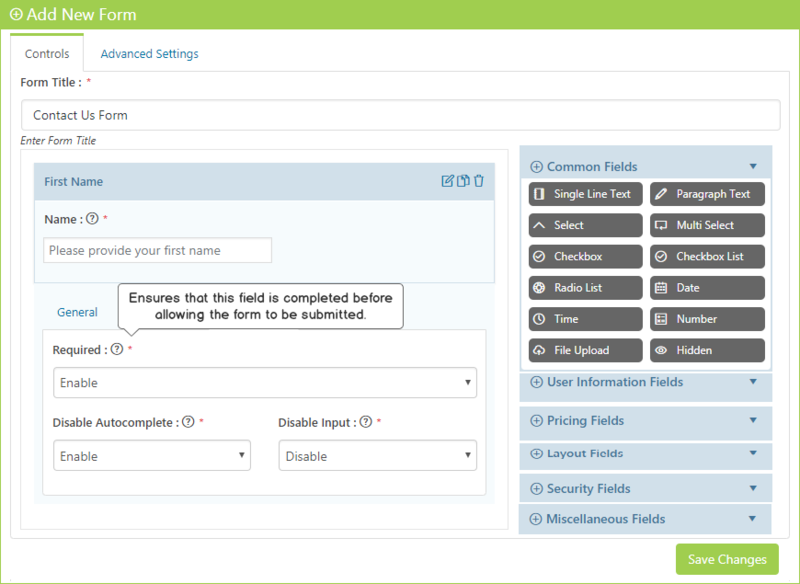 Let people build & customize each field in the forms for any device. Contact Bank offers default amazing templates to use. Just choose the form type you wish to display on your website and ready-made templates will be displayed on your website. Its flexible functionality allows making various changes in the added templates. 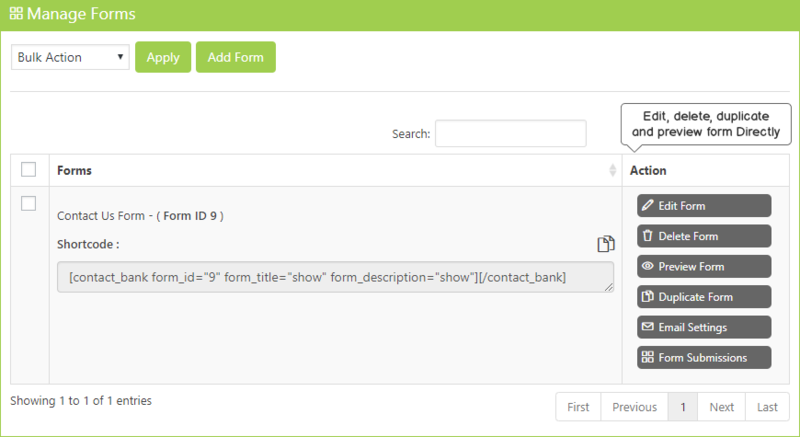 Contact Bank WordPress Plugin allows you to re-order your form fields by using simple drag & drop interface. 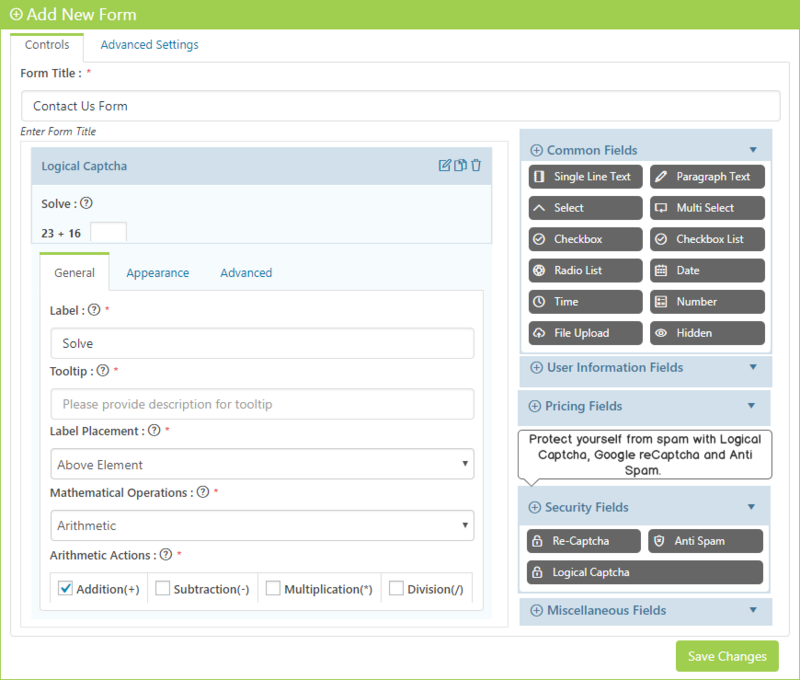 You can easily arrange your form fields in a specific order. Contact Bank kept all the form elements in a defined category to make it clear to users. There are some common field, User Information, Pricing Field, Layout Field, Security Field, and some Miscellaneous Field Elements available. Contact Bank plugin allows you to customize everything you want. You can add and remove fields, choose which fields are required, change the email address, or change the subject settings. 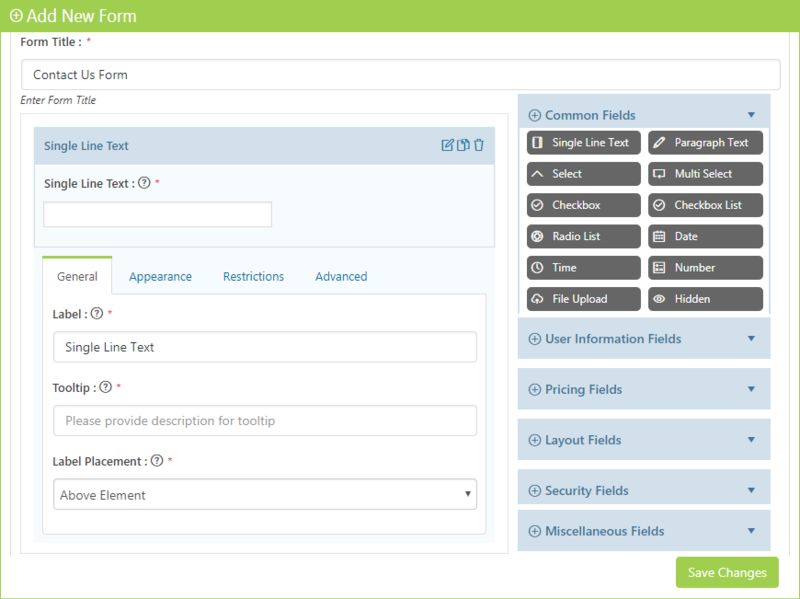 The form’s appearance can be further customized with CSS. Contact Bank keeps tracks of everything. Contact Bank let you store all your contacts in an archive by saving their email addresses in your database, so you don’t have to worry about losing your contacts. This allows you to monitor your leads in one place so that you can manage your workflow. 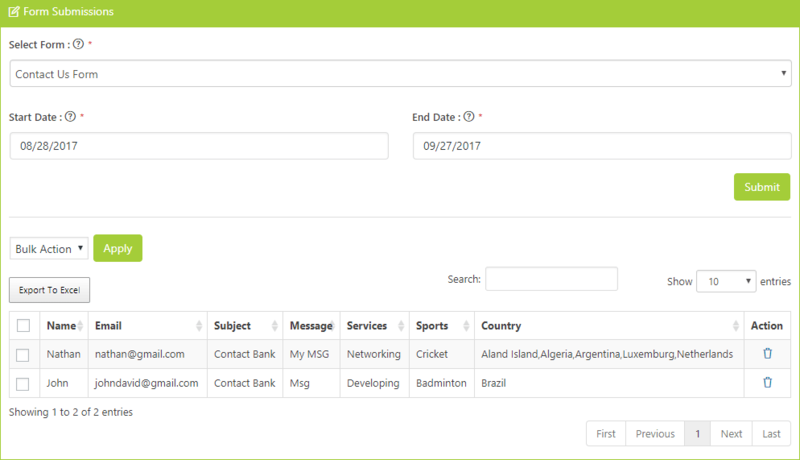 Contact Bank WordPress Plugin allows you to export the contact form data to a standard format that can be used by other applications. Export the email addresses and other contact form data using text search filters. Contact Bank has functionality which allows to preview & duplicate each created contact form before publishing it. 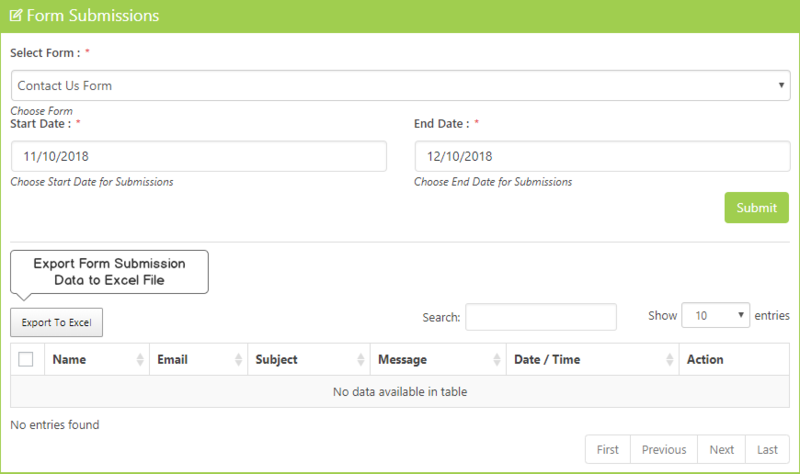 This option can be very useful if you have a live site and do not want to publish the contact form and later make changes on it. 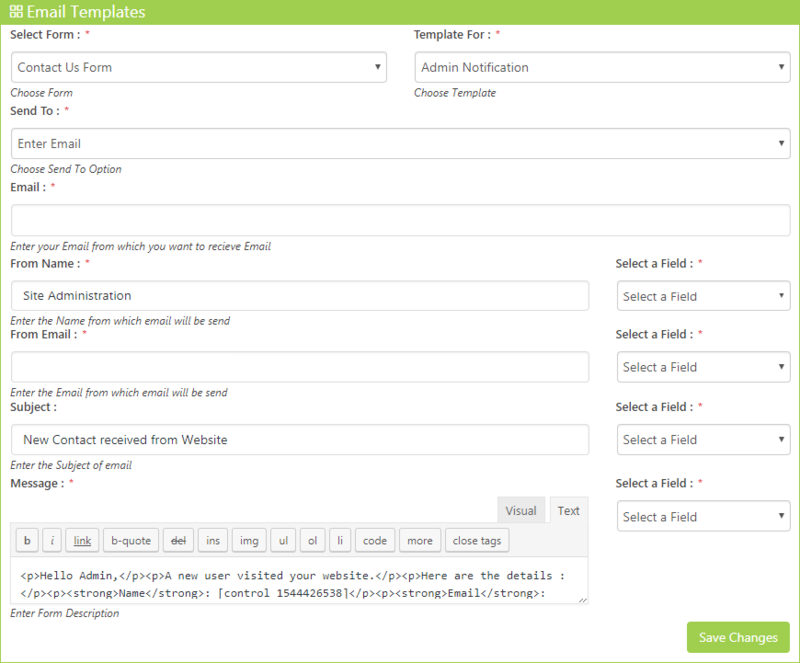 Email Templates allows to customize the notifications sent to the administrator and the user once a form is submitted. Contact Bank lets you specify your default or additional email addresses resulting in email notifications. You can also add CC, BCC and Reply To Fields to your Email Templates . Make sure your data comes in the way you want it. Contact Bank allows you to validate the Form Fields along with the custom error message setting. Protect yourself from spam with bulletproof Captcha Validation. One of the standouts features Contact Bank has is that it provides Captcha which keeps out the spammers and also helps in blocking spam emails. In some case, User wants to redirect the form to some specific location. For that matter, Contact Bank provides freedom to add a redirection URL to your Form. After the form submission, you can redirect it in two different ways. Choose either Page or URL where you want to redirect the page after submission. Contact Bank has been developed to easily insert forms to any of your Post/Page to provide ultra-easiness. 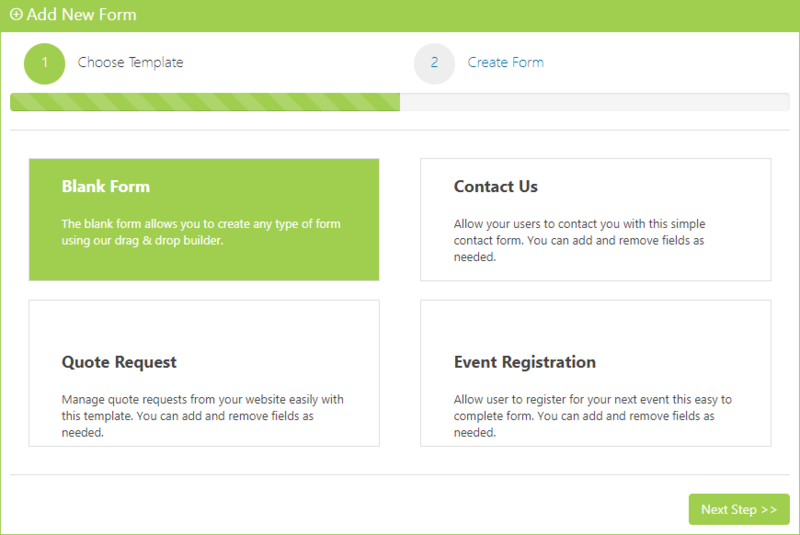 You can easily embed your forms in blog posts, pages, sidebar widgets, footer, etc. 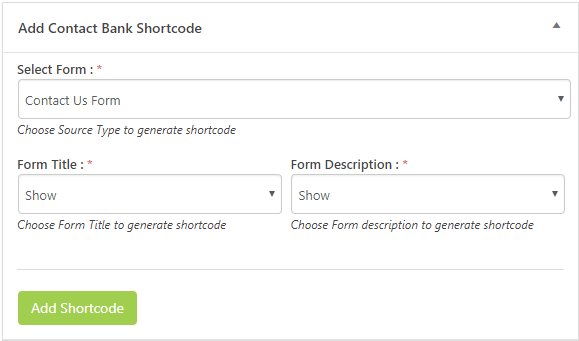 It allows you to embed the forms anywhere through shortcodes. 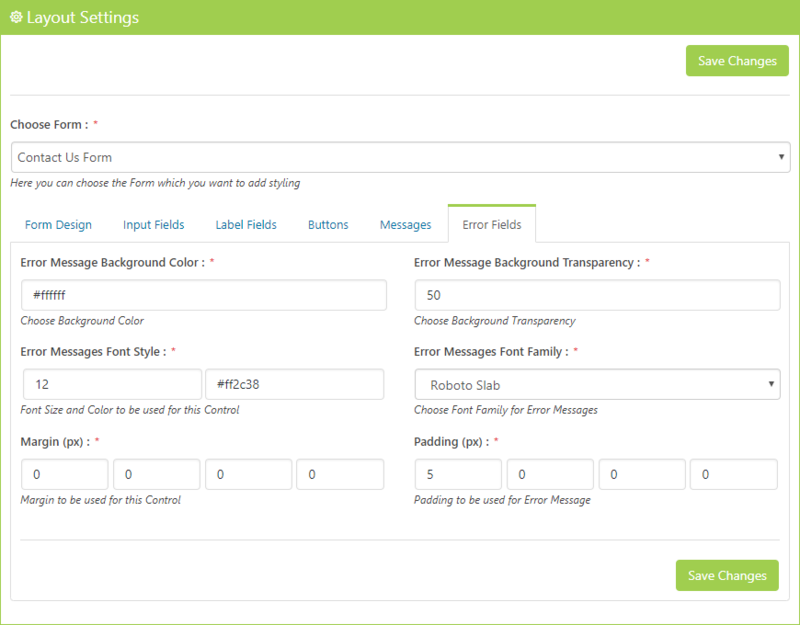 Widgets allow your forms to be displayed in your page, sidebar or footer and where ever you want it to be! 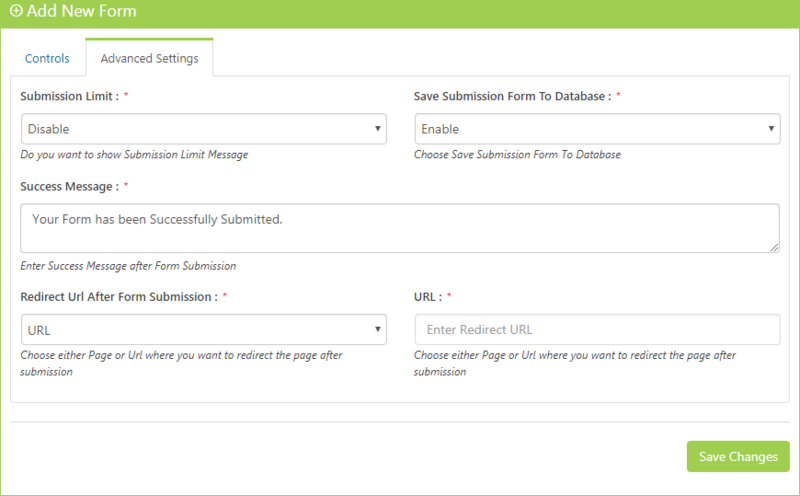 Using widgets and Shortcode, you can easily insert your form in a page/post or integrate as a widget. 30+ Built-in Form Elements, wowee ! The above features are might not be enough, Contact Bank offers a broad range of built-in form elements. One can easily select fields, configure options and embed forms on your WordPress-powered site using the built-in tools. Let create beautiful & effective professional looking WordPress forms in minutes!